Amp Up Your Holiday Baking with these Peppermint Mocha Cookies! 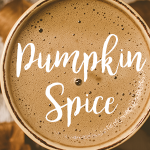 Caffe D’Vita’s Peppermint Mocha Cappuccino can be used for more than just crafting delicious drinks, our mixes also work great when baking. The holidays are here in full force and with that comes days filled with baking delicious goodies. 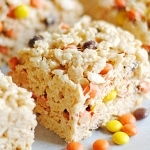 This recipe is fun for the whole family, even the littles can help! This recipe comes from the amazing Sally’s Baking Addiction food blog with a couple Caffe D’Vita substitutions. In a large bowl, mix softened butter until smooth. Next add in the granulated sugar and brown sugar and stir until fluffy. Then add in egg and vanilla and mix well. Next you’ll want to combine all dry ingredients in a separate bowl. Mix together the flour, cocoa powder, baking soda, Peppermint Mocha Cappuccino powder, Espresso Powder, and salt until combined. Then carefully mix into the wet ingredients. Now you’ll want to stir in the chocolate chips. Cover the dough with plastic wrap and chill for at least 3 hours. Remove cookie dough from fridge and let sit for about 20 minutes, or until it is easy to roll into balls. Preheat oven to 350°F and line two baking sheets with parchment paper and set aside. Roll dough into balls and place on cookie sheet. Bake the cookies for 8-9 minutes. The cookies will still look soft and gooey. Let cool on baking sheet for about 5 minutes, then transfer to cooling rack. Now it’s time to start melting chocolate! Place the white chocolate in a microwave safe bowl and microwave for 15 second increments, stir after each increment until completely melted and smooth. Then dip each completely cooled cookie halfway into the white chocolate and place onto parchment-lined baking sheet. 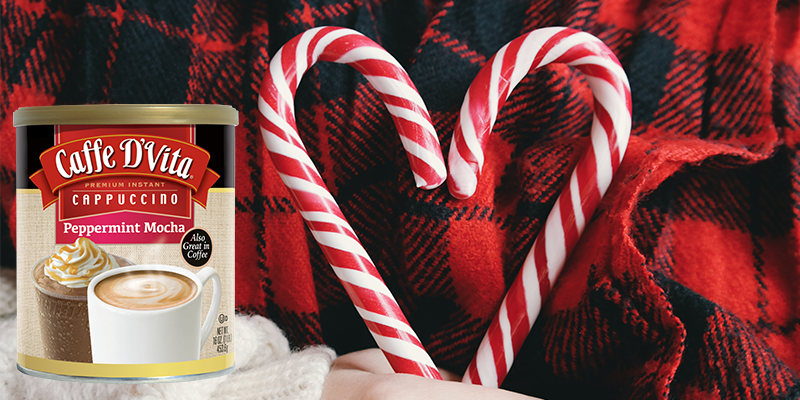 Finally it’s time to sprinkle on the crushed candy canes. Repeat with the rest of the cookies. Big Finish: Last but not least, serve with a large glass of milk or a cappuccino and enjoy!